It’s the kind of story that knows how to find the soft spots in even the most hardened of gamers (like me! ), and once it digs its adorable claws into you, it’s polished enough to rarely break the immersion it inspires. Ori and the Blind Forest had me coming back just to reexperience all the wonder and fun I had along the way the first time through, and it’s one of my favorite titles of 2015 so far. 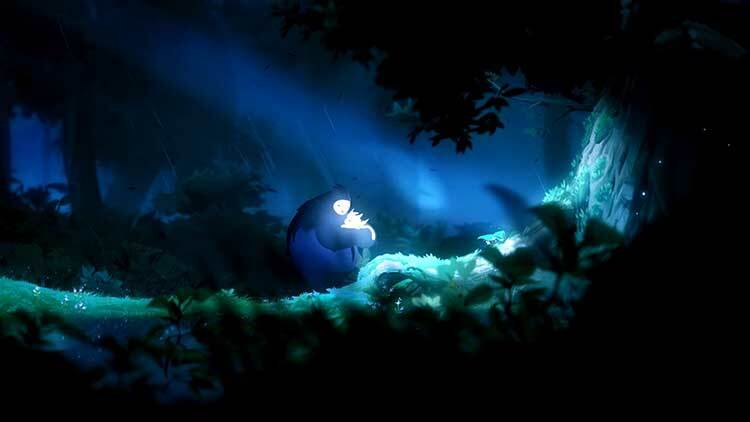 It's important, however, not to mistake Ori and the Blind Forest for being simply beautiful. 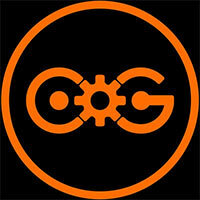 It certainly is--but it is also unceasingly clever. It consistently surprises you with new tricks: gravitational divergences, new ways to move through its spaces, and carefully designed levels that require you to think quickly and respond. Great platforming games don’t seem like they come around that often anymore. ...Ori and the Blind Forest does all these things and is by nearly all accounts a masterpiece in video games. 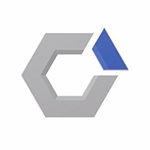 It has a little something for just about everyone, but more than enough to satisfy even the most galvanized platforming fans. Its difficulty might keep some from seeing the credits roll, but the sense of achievement and experiencing how the story ends makes any hardship along the way well worth the ride. 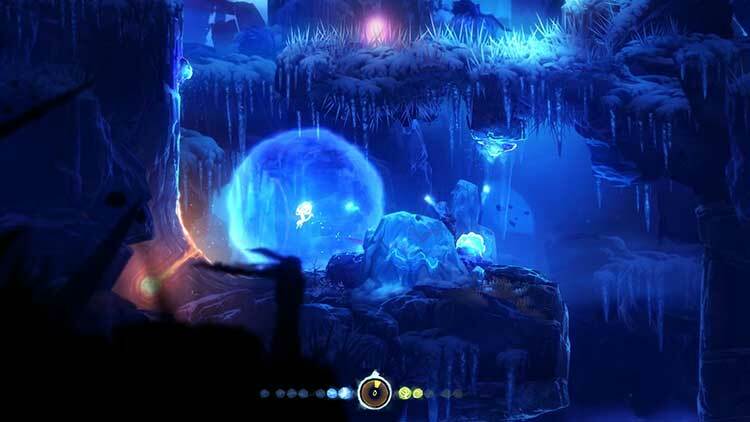 Ori and the Blind Forest is a title that has set the bar high for modern day “Metroidvania” games. From the original artwork and the enveloping soundtrack to the pixel perfect control and heartfelt narrative, anyone who plays this game will find themself hooked from the get-go. Do yourself a favour, don’t pass on this game, especially for the price, as you’d be missing out on a really great gaming experience. Bigger and tougher than it looks, Ori and the Blind Forest is a beautifully realized, brilliantly designed, and at times brutally difficult sylvan Metroidvania-style platformer with enough charm to leave a lasting impression. It's often frustrating and sometimes confusing, but its spectacular platforming, memorable world, and engrossing story wash those concerns away. Equal parts charm and challenge, Ori and the Blind Forest makes some harsh demands but pays off with its stellar presentation. Its atmosphere is phenomenal, with the kind of universal appeal that's rarely found in games - from the way the backgrounds feel like living environments, to the uplifting music and touching cinematic moments. In summary then, Ori and the Blind Forest is a largely enjoyable game that both Xbox One and PC gamers would be wise to try, even if just to experience its emotional story. Its wonderful art and music go to great lengths to carry the lacklustre controls and generic design, and to be honest it mostly succeeds in doing so. 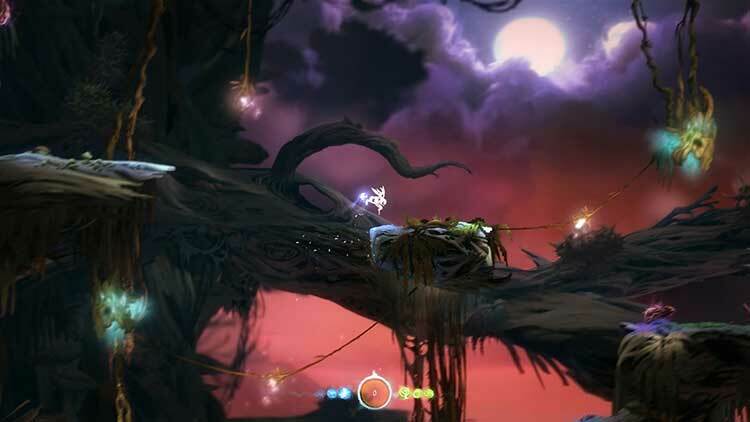 Ori and the Blind Forest rivals the very best games in terms of presentation and controls. It offers a challenging path for you to follow on this touching emotional journey. So good, so beautiful, you can't help but want more reasons to play. 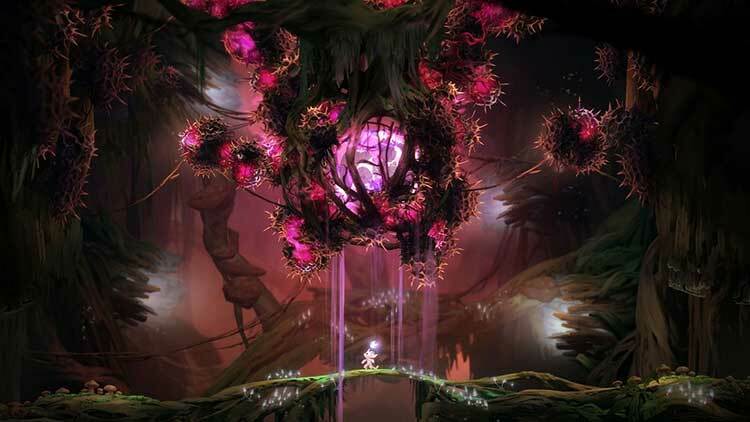 While there are areas that could be further developed and we’d certainly like to be able to collect the handful of doodads we’ve missed, make no mistake that Ori and the Blind Forest is a satisfying adventure. It doesn’t aim for style over substance, but evokes joy in movement, challenging you without being too punishing. Take in a breath of fresh air and see what the forest has in store. To close on a low point is a real shame, but the extreme highs carry Ori and the Blind Forest through to greatness, if not quite flawlessness. Rarely is a game able to be so devilish in its gameplay yet so touching in its story. For those willing to embrace the difficulty, Moon Studios has created one of the few must-have Xbox One console exclusives. From a mechanical standpoint, Ori and the Blind Forest isn't an evolution of the genre, and you've seen most of what's on offer here before. But aesthetically it's in a league of its own, and everything it does, it does well. If you're looking for a metroidvania, I'd consider this a new classic. Ori and the Blind Forest is a beautiful, punishing game that harkens back to the classic side-scrolling titles of the SNES. It will beat you down and test every ounce of patience, but not without reward. 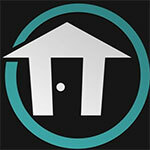 This is one of those games people will be talking about down the road, not unlike Shadow Complex or Geometry Wars. While it stumbles over its own ambition far more than it should, Ori and the Blind Forest bursts with both detail and passion. At times it's less a game you play than one you force your way through despite your better judgment, but the parts where it all works together make it worth the pain. And wow, does it look good. There’s nothing quite as rewarding as a good Metroidvania and Ori and the Blind Forest proves itself to be classified as one. Giant, sprawling landscapes hide tons of goodies just waiting to be collected once you’ve gained some new skills. Gorgeous artwork makes retreading old territory far less monotonous as well. ...It’s rare to see a game with stunning visuals and excellent gameplay, but Ori and the Blind Forest does exactly that. Ori and the Blind Forest is excellently crafted, both artistically and mechanically. It's the single-most beautiful game I've seen in 2015, with fluid, hand-painted beauty that comes off as a painting come to life. With deep mechanics like the Soul Link system and Ori's myriad of unlockable abilities, as well as cleverly-crafted puzzles that put the user's mind to work, Ori is also a challenging piece of work and one that's worth racking your brain over. Ori and the Blind Forest isn’t just a magnificent video game with impeccable mechanics and brilliant design, it’s a work of art. What could’ve easily been a journey so wrapped up in delivering its poignant narrative that it squandered away its gameplay potential, ends up being a Metroidvania that can hang with the greatest the genre has to offer. This is a powerful experience that we expect will be remembered for a long time to come, and it's, without question, one of the best games available for the Xbox One. Adventure buffs and those with a flair for the nostalgic need to make Ori and the Blind Forest part of their collections immediately, for it will take players back to the glory days of adventure games in the best ways. That feeling of not wanting or being able to drop the controller, to actually be treated as a fully skilled and capable player and that wonderful sense of discovery makes Ori and the Blind Forest a true masterpiece. It's proof that games can be art and just because something offers sugar sweet visuals it doesn't mean that it's not meant for older gamers. So far Ori and the Blind Forest stands as the best game released in 2015. Ori and the Blind Forest is breathtaking in more ways than one: it's dazzlingly beautiful, cleverly designed, and its demanding platforming will test your patience. Tight controls. Incredible visuals. Excellent level design. Great puzzles. 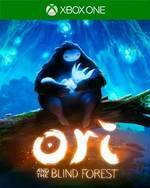 Ori and the Blind Forest te enamora, primero, con una dirección de arte que presta atención hasta al último detalle, después te embelesa con la banda sonora y finalmente, se compromete contigo con precisión en el control y perfectas mecánicas de juego. En resumen, Ori and the Blind Forest cumple con la fórmula ganadora que garantiza una experiencia sin igual. Si eres poseedor de un Xbox One es imperativo que lo juegues. Al margen de este contratiempo que sólo evitaréis si habéis llegado a este párrafo, Ori and the Blind Forest se revela como un auténtico brote verde perdido en un frondoso bosque de remasterizaciones, remakes, retrasos, parches, superproducciones devenidas en cortometrajes y promesas incumplidas. ...Ori nos ha abierto los ojos a un mundo de poesía audiovisual que, lejos de innovar, destila la savia de los clásicos y la esparce por un bosque de sensaciones, calidad jugable y asombro visual. Ori and the Blind Forest no es solo una obra de arte en movimiento, también es un juegazo de pleno derecho, con unos controles perfectos, un diseño de niveles espectacular, una narrativa exquisita, y unas mecánicas muy inteligentes que, sin revolucionar el género, lo llevan a otro nivel. Control preciso, variedad de situaciones, mucho ritmo y algunos rompecabezas son las principales virtudes de un juego que entra por los ojos y queda grabado por lo que propone a través del mando. No revoluciona el género, pero lo que propone lo hace tan bien que se convierte, sin duda, en uno de los grandes estandartes de las plataformas 2D. Derrière ses gros yeux ronds et son corps de Pokémon, Ori and the Blind Forest cache un Metroidvania que l'on traverse comme un parcours du combattant, époustouflé par tant de beauté, essoufflé après tant d'épreuves surmontées. ...S'il manque parfois de lisibilité, la faute à une caméra trop reculée et des décors foisonnant comme les plus beaux chefs-d'oeuvre des studios Ghibli, Ori est un jeu impressionnant de maîtrise, aussi bien en termes de direction artistique que de construction. Ori and the Blind forest é uma história sobre dor, perda, amizade e superação. É acompanhado para isso de uma temática imediata e honesta, carregada de reviravoltas e adornada por visuais de superlativa beleza. Em termos mecânicos é muito desafiante, chegando a roçar a frustração, mas ao mesmo tempo, é extremamente recompensador. Até ao momento a maior surpresa de 2015, obrigatório para os jogadores Microsoft. L'aspetto tenero di Ori and the Blind Forest potrebbe trarre in inganno sulla natura del prodotto. Il gioco è seriamente impegnativo e in grado di regalare grandi soddisfazioni grazie alla sua difficoltà, a un gameplay sempre coinvolgente supportato da un sistema di controllo praticamente perfetto, a una struttura equilibrata in modo eccellente e a un level design di altissima qualità. Se amate i platform adventure in stile "metroidvania", questo non potete assolutamente perdervelo perché all'interno del genere è un autentico gioiello. Prik daar doorheen en hebt een uiterst fijne game. 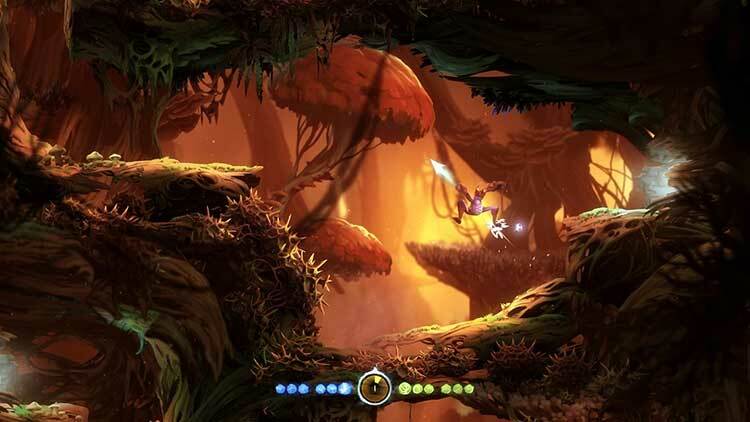 Moon Studios omschrijft Ori and the Blind Forest als een platform die vergelijkbaar is met Metroidvania. Ori heeft een fijne balans met een sterke platformfocus en lichte RPG-elementen. De vaardigheden en powers zorgen voor een onderscheidende rol van andere platformgames. ...De Soul Link en de moeilijkheidsgraad zorgen voor een hoog bevredigingsgehalte waar ook de nodige frustratie bij komt kijken. Sammanfattningvis är Ori and the Blind Forest ett äventyr jag tycker alla med möjlighet borde uppleva. Jag säger “med möjlighet” då det endast finns tillgängligt på Xbox One och PC, någonting som faller sig självmant när Microsoft Studios är utgivare, men som trots allt inte är de populäraste plattformar bland spelare idag. Med en precis kontroll, hjärtstrypande introduktion och helvetisk utmaning är det svårt att lämna Ori and the Blind Forest bakom sig. Ett måste för dig med en törstande Xbox One.